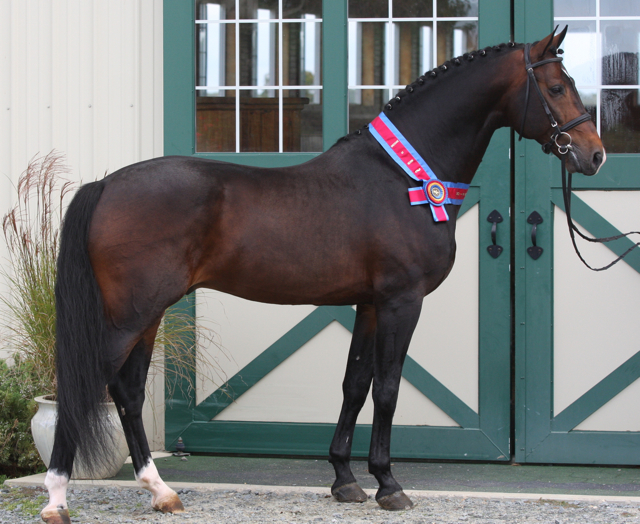 We are thrilled to offer this phenomenal 10 year old Hanoverian stallion, Coeur d’ Amour. 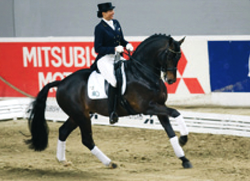 His sire, Conteur, was a premium stallion of the 2000 Holsteiner approval and won the 30 day test in Adelheidsof in 2001. He finished his 70 day test as reserve champion, scoring 8’s for his character, temperament, willingness to perform, and conformation. 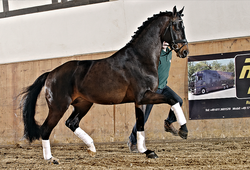 His dam’s sire, Escuso II was also the champion at his stallion licensing. Foal of Coeur d' Amour are due Spring 2014! 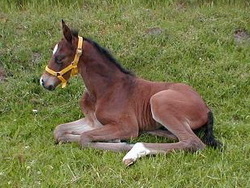 Register on our home page to be alerted of their births! 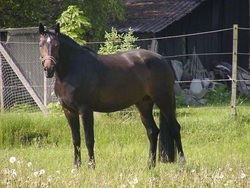 his 30 day test, scoring 9 for type, conformation, and willingness to work. This stallion’s name, Coeur d’ Amour is translated to mean “love of my heart.” The meaning of his name describes him well as the previous owner’s 9 year old son, Hendriek Rode, was able to ride him all by himself! Coeur d' Amour's previous owners, Sabine Rode and her 9 year old son, Hendrik. They came to visit In July of this year.